Mait Industries introduces cost effective, powerful, flexible and upgradable data collection systems providing big features at a little price. Hand held data collectors and mini radio loggers form the platform of this range of feature packed data logging systems that will grow and evolve over time. The mini radio logger systems offers users a powerful feature packed and flexible data recording and radio system at a fraction of the cost of any comparable system. The other product making up this range of data logging devices is the Mini MAIT field radio logger. These radio loggers are unlicensed wireless systems that starts logging connected probes automatically. Only the probe and logger address needs to be entered. 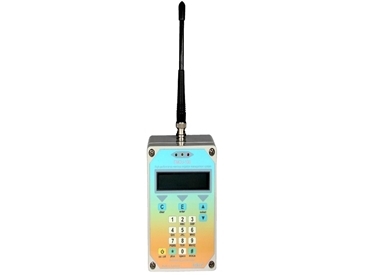 Key features of these radio loggers include long battery life, up to and beyond two years, depending on the number of sensors connected and logging interval and a Low battery warning indicator that notifies the user when battery voltages are low. These radio loggers can read up to 8 x 1.6m EnviroPro probes, and record and log battery voltage, ambient temperature, RF noise, RF signal strength. The large memory on the radio loggers allows for the storage of up to 260,000 measurements per probe (8 * 260,000) before oldest data is overwritten with current data.